The U.S. Supreme Court has agreed to hear Williams v. Pennsylvania, a case challenging former Pennsylvania Supreme Court Chief Justice Ronald Castille's participation in an appeal of a case that had been tried in Philadelphia while Castille was the city's district attorney. Terrance Williams (pictured) was convicted and sentenced to death in Philadelphia in 1984 for the murder of a man prosecutors had described to the jury as "a kind man [who had] offered [Williams] a ride home." Williams was 18 at the time of the murder. His death sentence was reversed days before his scheduled execution in 2012 because prosecutors under Castille's tenure had withheld information that the victim, a church deacon, had sexually abused teenagers he had met through his church and that the trial prosecutor knew that the victim had sexually abused Williams. 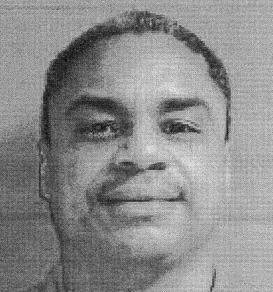 In 2014, the Pennsylvania Supreme Court reinstated Williams' death sentence. Williams' lawyers asked Castille to recuse himself from the case, saying he had "personally approved the decision to pursue capital punishment" against Williams, continued to head the office when it defended the death verdict on appeal, and, in his electoral campaign for the Pennsylvania Supreme Court, had touted "the number of defendants he had 'sent' to death row, including [Williams]." Castille denied the motion for recusal and authored a concurring opinion that criticized Williams' lawyers and the judge who had ruled in Williams' favor. The U.S. Supreme Court will take up the question of whether Castille's failure to recuse himself violated Williams' rights, and whether it matters that Castille did not cast the deciding vote. Marc Bookman, director of the Atlantic Center for Capital Representation, said Castille's participation created a conflict of interest: "It is his former office that is being accused of hiding evidence. He has a stake in protecting the office that he led at the time that all this happened." Governor Tom Wolf granted Williams a reprieve of his death sentence and announced a moratorium on executions in Pennsylvania on February 13. (M. Sherman, "Justices to Review Bias Claim Against Top Pennsylvania Judge," Associated Press, October 1, 2015; J. Roebuck, "U.S. Supreme Court agrees to scrutinize Castille's role in death-row inmate's case," Philadelphia Inquirer, October 1, 2015; Williams v. Pennsylvania, Petition for Writ of Certiorari, June 12, 2015.) See U.S. Supreme Court.